Create a signature look that reflects your sense of style with help from Arsen’s European Tailoring. 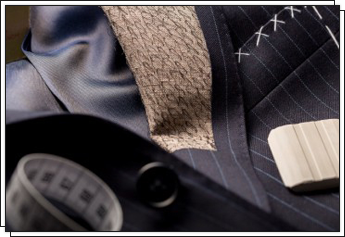 We provide custom made suits in Costa Mesa, CA. If you prefer ready-made men's designer suits and apparel, we have them, too. We do clothing alterations to give them a custom-type fit. Contact Arsen’s European Tailoring today. We proudly feature a custom-made line of suits and shirts that allow you to select from a wide assortment of fabrics and styles. Choose from an unlimited number of designs and a variety of fabrics that reflect your elite taste. To make sure your items fit properly, we do meticulous measuring to the quarter-inch, and we create an individual pattern for each customer. See for yourself how our custom-made line showcases our attention to detail and quality.